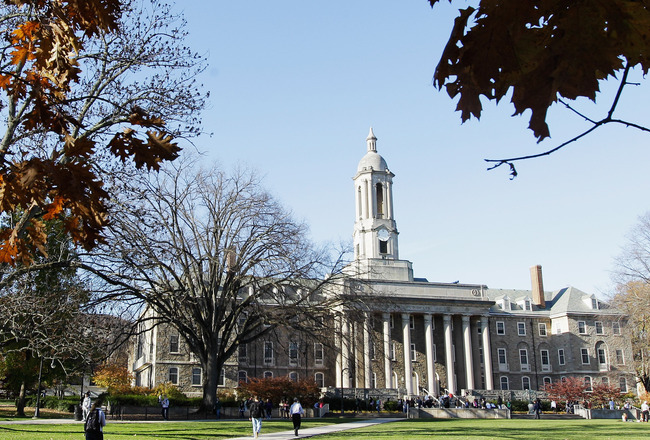 The news out of Penn State has been pretty terrible for the past week, with lots of sordid details of extremely bad behavior by former football staff members. And I don’t know—or care to know—every bit of the story. What is accused is that assaults were made, by a member of the football staff, upon a minor, within the athletic facilities. 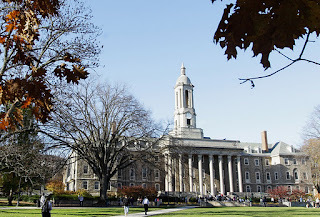 Penn State authorities—including head coach Paterno—were informed. It seems they did the absolute minimum as required by university policy and not much more? Also note that this is going on in the same time that many local communities in my state rejected levies that would raise property taxes to improve funding in local school districts. I fear that the resulting budget cuts are going to kill arts programs, music programs, and God-only-knows what next to pay for the teachers and the custodians and the electricity and the mortgages and everything else. But … if the voters knew that the first thing to be cut was local athletics? Well then, I can almost certainly bet that the results would have been different.